**A huge thank you to Portrait Innovations for sponsoring today's post. All thoughts are my own. Halloween is almost here, have you gotten your little one's costumes finished yet? I have to admit, I'm usually a bit of a procrastinator about just about everything else... but when it comes to holidays? No way...you'll not soon make THAT mistake twice. Just try getting your cart through the candy aisle the day before Halloween! You'll be experiencing some major road rage (aisle rage?). And the costumes? You may or may not find what you're looking for! And even if you do, trying to find the proper size and/or accessories to go with it will present yet another challenge! No, when it comes to holidays, it's best to plan ahead. Thankfully, for my kids this year we've been done for weeks! 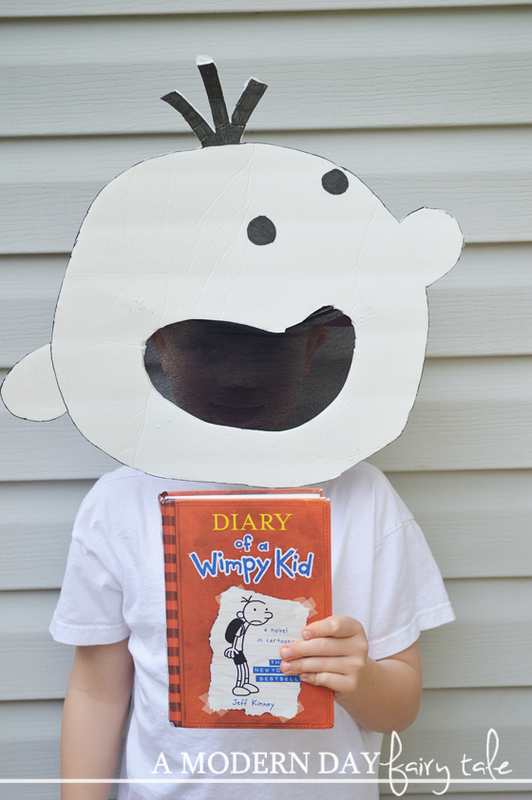 We made a super easy Diary of a Wimpy Kid for my oldest kiddo (come back tomorrow for the how-to) and my oh-so-talented sister-in-law was generous enough to let us borrow an adorable handmade Minnie costume for my daughter! Her favorite! This year was a piece of cake! You’re invited to our Halloween Party! No tricks here, just treats. 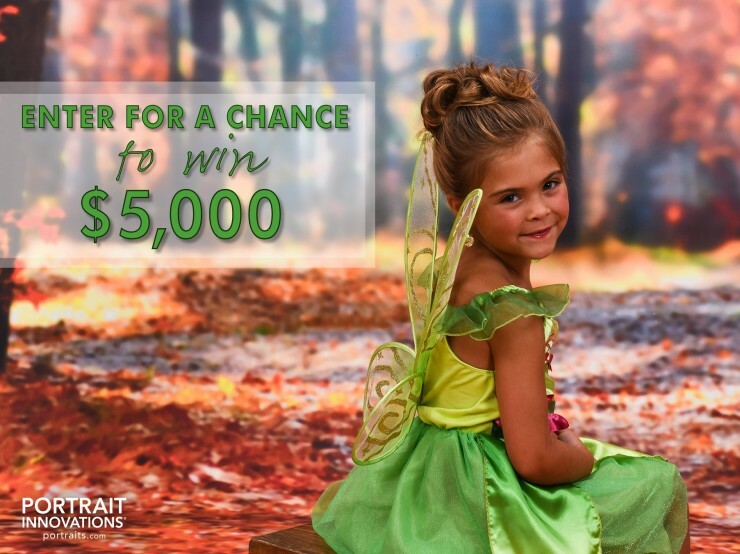 Portrait Innovations invites you to attend our FREE PORTRAIT EVENT, at your nearest studio on Monday, October 26th from 4-6pm. 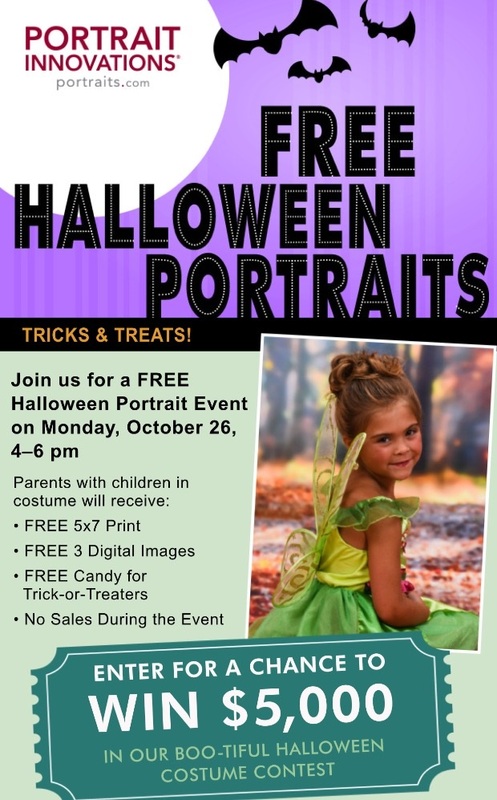 Make sure to come dressed in costume to recieve a free 5×7 Print, 3 freeDigital Images, and of course FREE candy for kids in costume! There will be no sales or appointments during this event. Planning to go? What will your littles be dressed up as? So awesome!! We are jam packed busy this Halloween but if we weren't Id be all over it!! My son will be charlie brown :) Pretty easy too!! Love your son's outfit! !